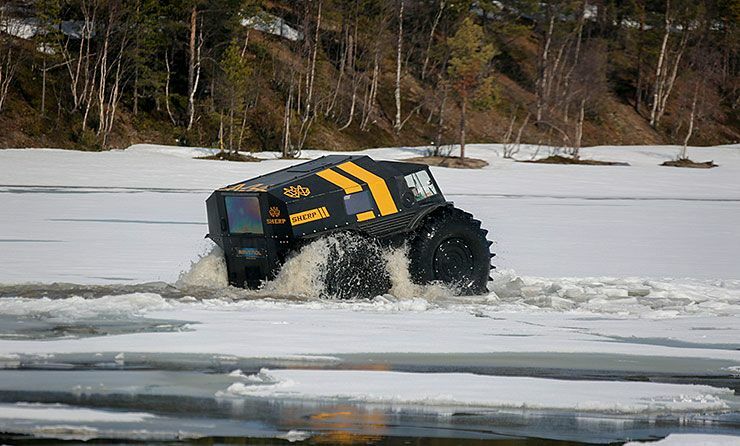 The SHERP is an ATV with unparalleled off-road performance invented and developed by Alexei Garagashyan. 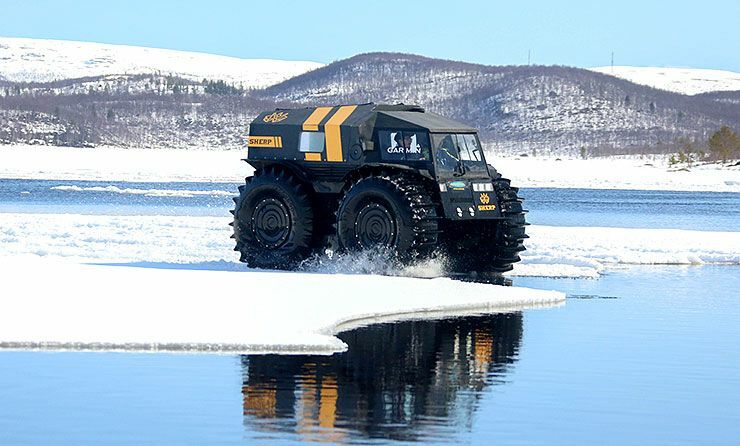 This amazing ATV is a pretty capable off road vehicle developed and built in Russia that not only dominates off-road environments, it can also plow through water, ice, and snow. 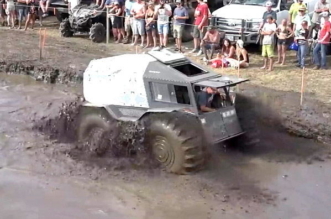 Think of it as a tiny tank, or an extreme off-road buggy. On land, the wheels move more like tank treads, locking up or slowing up one side to turn rather than actually tilting the wheels. The Sherp ATV is equipped with huge tires that are self-inflating and patented, and feature paddle-like treads for propelling it over water. Combine them with skid-steer and it can turn in its own length, as long as it is 8.2 feet apart from an object. This unique vehicle is driven by an almost indestructible Kubota 1.5 liter low 44.3 horsepower diesel engine linked to a five-speed manual. The engine uses approximately 2 – 3 litres (0,5 to 0,8 gallons) per hour on any type of soil; powering the 2,866 pound ATV to 28 mph on land, and 3.7 mph on water. It measures 11 feet long and can climb over obstacles as tall as 27.5 inches. There is a devices that instantly drains water from the body of the vehicle when it is emerged in water. The two-person compartment is heated by the engine, the vehicle heater, or with a webasto autonomous heater. 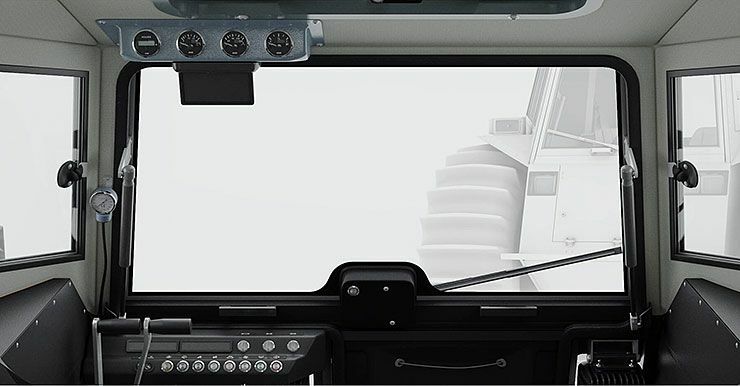 This reliable vehicle is indispensable tool for anyone who is not willing to put up with severe environment and for people overcoming a great variety of difficulties at their work that is to rescuers, geologists, oilmen and hunters. 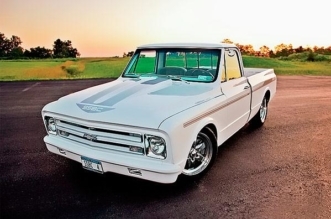 More than that, it looks like quite a lot of fun… You know you want one.